Why cycle when you can get all the momentum with none of the effort? With an e-bike with throttle, you can reach your destination faster than ever before. Similar to a motorbike or scooter, the throttle mode engages the motor thus pushing the bike forward. Usually, you can choose the level of throttle allowing you to either pedal or just kick back, relax and enjoy the ride. 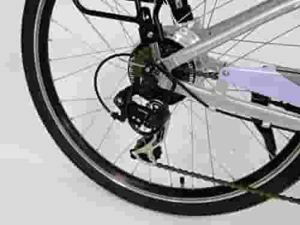 The majority of e-bikes are categorised as pedal-assist, meaning that the power only works when you give it a helping hand by putting in some pedal power. 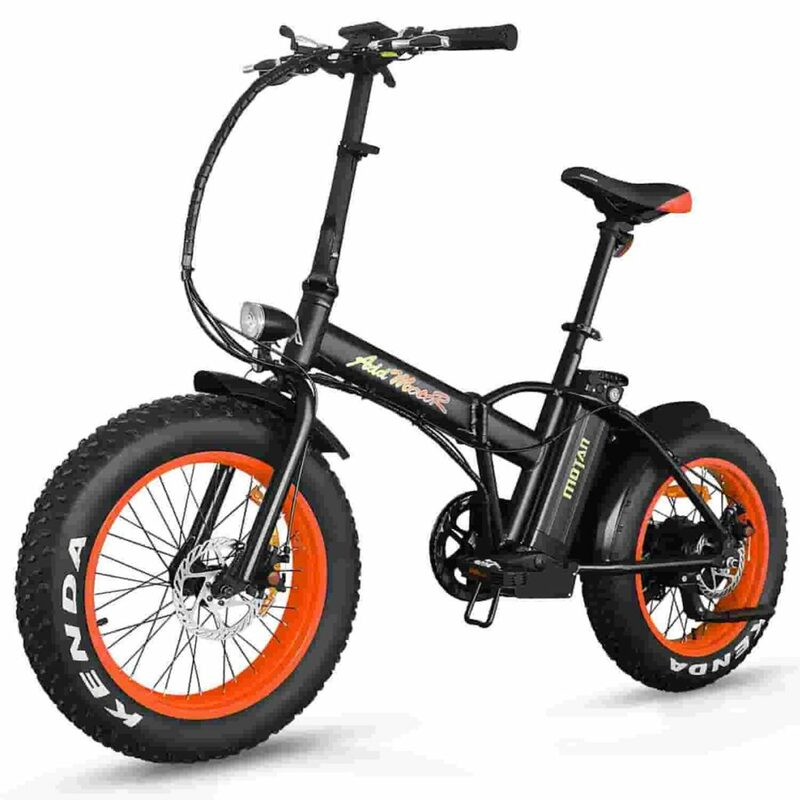 However, e-bikes with a throttle function provide you with a powerful boost at the push of a button or twist of a handlebar, without the need for pedaling. This makes them an excellent choice for those travelling long distances or those unable to pedal constantly. Compared with a car, an e-Bike is a far more environmentally friendly mode of transport. This is why many people are now opting to travel into work by e-Bike rather than driving, as it allows them to do their part to help stop global warming. In some areas, e-bikes with a throttle function come with an age restriction. They are also generally not permitted on certain cycle paths, so it is advisable to check with your local authorities before heading out on a bike with throttle. Electric bikes with throttle are not only a speedy way to get around, they are also a highly economical form of travel. With low operating costs and high performance, it’s easy to see why they are rapidly growing in popularity. 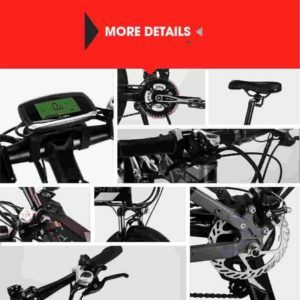 If you want a bike that can get you from A to B with minimal energy expenditure on your part, then an e-Bike with throttle is the perfect option for you. 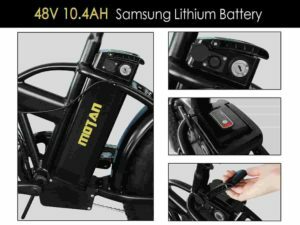 Powerful 48v Lithium-ion battery provides excellent pedal assist, allowing you to reach speeds of up to 88km on one charge. Three working modes allow you to switch between fitness mode, pedal assist and fully electric for long distance rides. Fat tyres are capable of dealing with a wide range of terrains, including snow and sand. Comes equipped with an LCD display with USB port for charging your personal devices. Foldable aluminium frame for easy transportation and storage. Due to its heavy duty wheels and battery power, this bike performs well and maintains its balance on roads ravaged by rain and mud, making it a more flexible option for those wishing to travel a little off the beaten track. It is also more than adequate to deal with holes and bumps in the road. The folding function of this bike makes for convenient storage and means you can take this bike with you on public transport. 36v battery with a 6 hour charge time can give up to 25 miles of travel. Can reach a maximum speed of 15 miles per hour – the maximum permitted in most areas. 3 levels of pedal assist for a customisable ride. 6-speed Shimano gears for smooth travel. This bike is a great deal for the price. Although it is not as powerful as some of the higher end models, its features are well designed and it is perfectly suited for less heavy-duty travel. 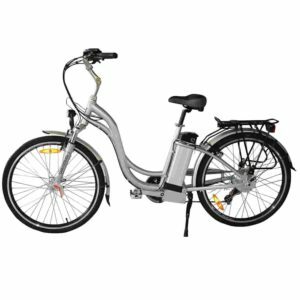 If you’re longing to own an e-bike with throttle but are on a tight budget, then this is an excellent choice for you. 7 speed levels and key operated throttle allow for all types of travel. Battery concealed within the bike frame, making for a sleek and streamlined look. High maximum speed of 18 miles per hour. Up to 38 miles of power assisted travel available with every charge. Foldable structure for easy storage and transportation. 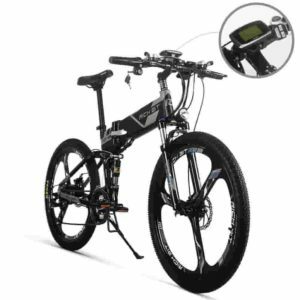 This is a mid-range e-bike with excellent features and a high power level. It is able to travel faster than many other electric bikes, making it great for those with a need for speed. Its ability to be folded is an added bonus as it means it can be stowed in small spaces and carried with you when you’re unable to ride it. These are 3 great e-bikes, all with a powerful throttle function. If you’re looking for a simple, low cost model that does the job then the Fenetic Energy is an excellent choice. For those looking to travel over rough or unusual terrain, then it is well worth forking out a little more for the Addmotor MOTAN, which is capable of handling snow and sand. If you need something in the middle, which is capable of going the distance but won’t break the bank quite so badly, then the RICH BIT e-Bike offers the perfect compromise.